Maybelline is an brand founded in 1915 and acquired by L’Oréal in 1996. To optimize the local market penetration (outside USA and Japan) the brand is disseminate thanks to local actors. In France : Gemey (born in 1923); in Germany & Austria : Jade (founded in 1964 & acquired by L’Oréal in 1995); in Brazil: Colorama (founded in 1976 and acquired by L’Oréal in 2001); in Argentina : Miss Ylang (founded in 1939 and acquired by L’Oréal in 2000); and in Colombia : Vogue (founded in 1955 and acquired by L’Oréal in 2012). 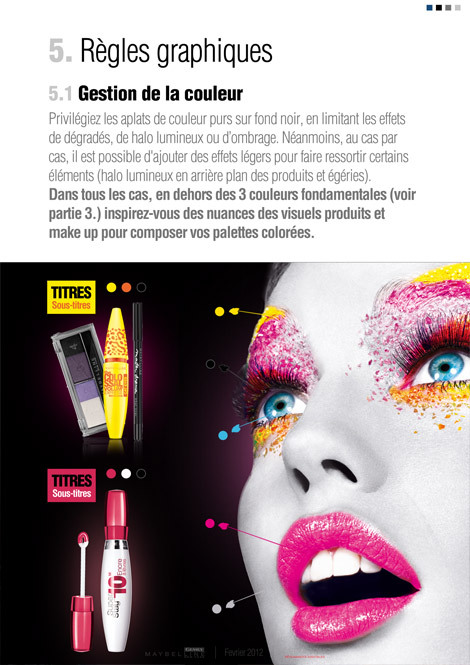 Gemey-Maybelline is a make up brand leader on the french mass market. Their communication is historically focused on two targets : women 40 old and more (the “Gemey” woman) and girls teenagers (the “Maybelline” woman). For digital communication, we had to solve several challenges : improve online visibility, seducing young target and keeping confidence of historical target. Art direction, Lean Production & Graphic design. I was the Art director responsible for Gemey-Maybelline account during 2 years : global design (team working with sales department), graphic trends (team working with project management unit), interface designing (co-working with graphic design unit), streamline definition, graphic guidelines, newsletters, welovemakeup and several others visual creation for social platforms (Facebook). This pattern document include all graphic rules and best practices : logotype, typography, colors, graphic shapes and uses of photography. Full document is the result of 2 years work. 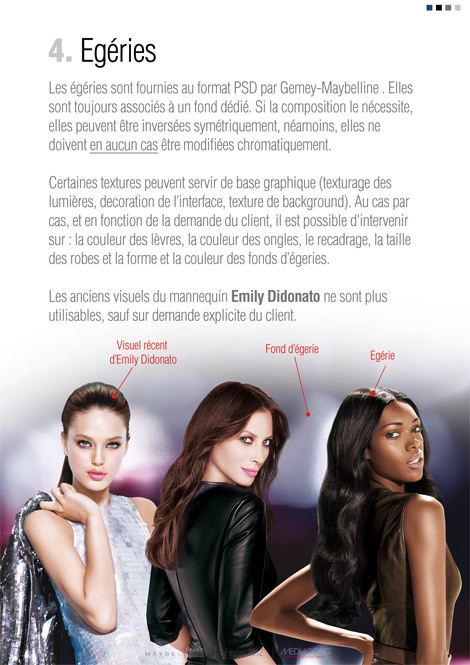 © Mediagong Leo Burnett/L’Oréal – Charte Internet France Gemey-Maybelline 2010/2012, 48 pages (extraits). Conception, rédaction et direction artistique : François Soulignac. 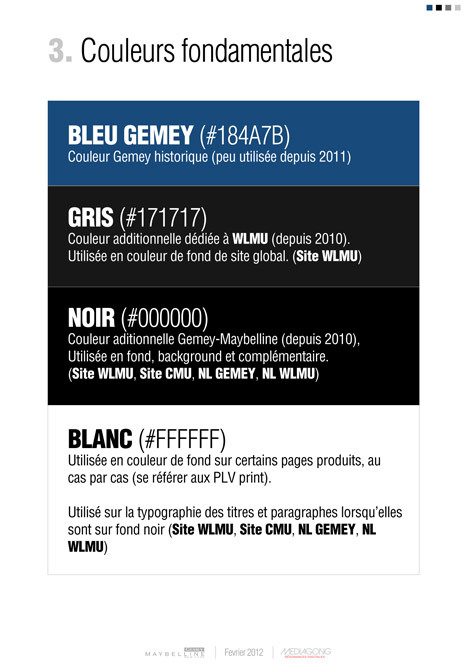 Digital Guidelines France Gemey-Maybelline 2010/2012, 48 pages (extracts). 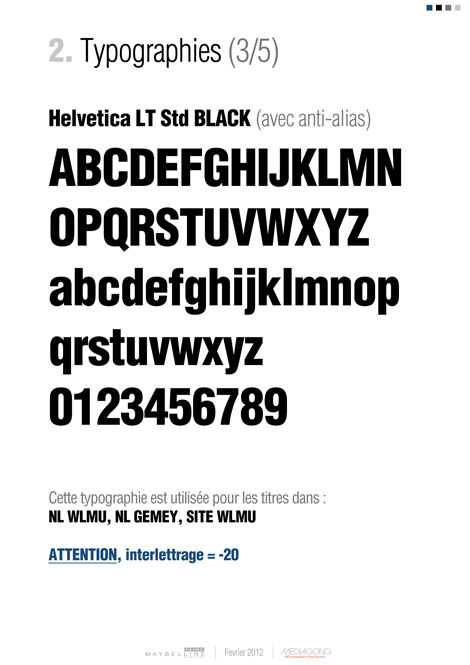 Design, writing and art direction : François Soulignac. 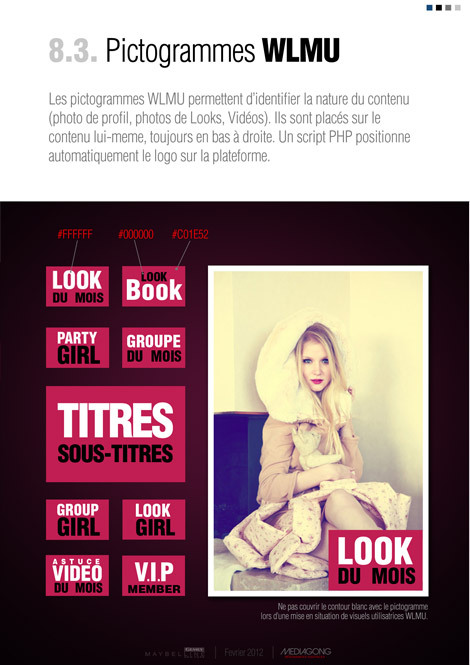 This entry was posted in Digital Art Direction and tagged Art director, Bad practices, Best practices, Charte graphique, Communication, Digital, Egéries, France, François Soulignac, Gemey-Maybelline, Graphic guidelines, Graphics standards, Hi-fidelity wireframes, L'Oréal, Lean management, Lean production, Web, Web Digital Art Direction by François Soulignac. Bookmark the permalink.